Garlic sausage Steiner approx. 400 gr. The exact selection of the different ingredients, technical skill and the love of the employees to the product in the production of this raw sausage result in this asked speciality. Buy now this product together with Smoked Deer sausages "Hirschwurst" 2 pieces Nocker app. 150 gr. Smoked Deer sausages "Hirschwurst" 2 pieces Nocker app. 150 gr. 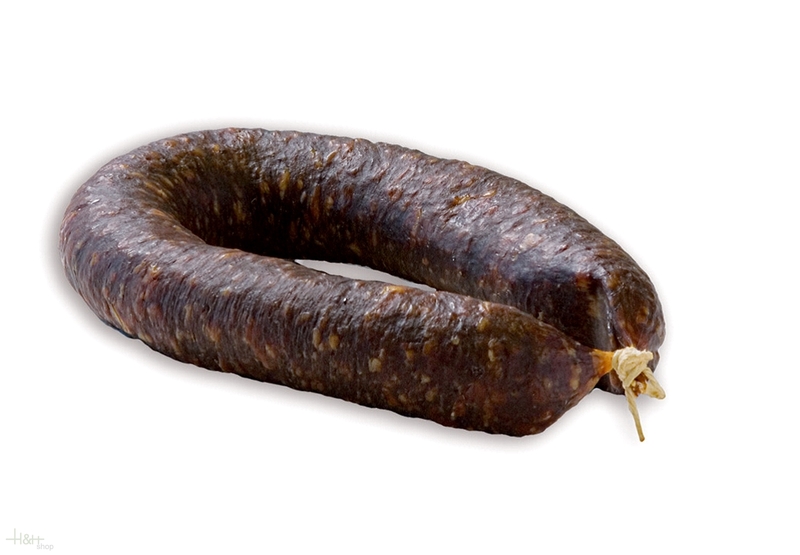 ready for shipment: in stock Smoked Deer sausages "Hirschwurst" 2 pieces Nocker app. 150 gr. Farmer's Shoulder Bacon South Tyrolean farm bacon Steiner approx. 600 gr. Deer Salami Steiner approx. 250 gr. 7,80 EUR / 3,12 €/100 gr. Smoked chamoix sausages "Gamswurze" Bernardi app. 300 gr. 9,55 EUR / 31,83 €/kg. Pustertaler salami smoked Villgrater approx. 350 gr. 8,90 EUR / 25,43 €/kg. Smoked sausages Sarntal L. Moser 10 pc. - approx. 600 gr. 18,55 EUR / 30,92 €/kg. Chilli salami hot appr. 250 gr. - Kofler Speck 6,90 EUR / 2,76 €/100 gr. Smoked farmer sausages Sarntal L. Moser 3 pc. - approx. 150 gr. 6,50 EUR / 4,33 €/100 gr. 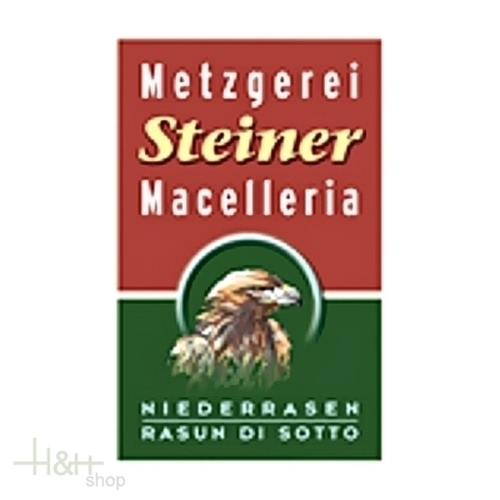 South Tyrolean deer salami Bernardi approx. 190 gr. 7,45 EUR / 3,92 €/100 gr. Horses salami air-dried appr. 250 gr. - Kofler Speck 7,35 EUR / 2,94 €/100 gr.